Anthony Daniels (C-3PO) talks about his experience filming The Force Awakens. Deadpool casts another comic book character. 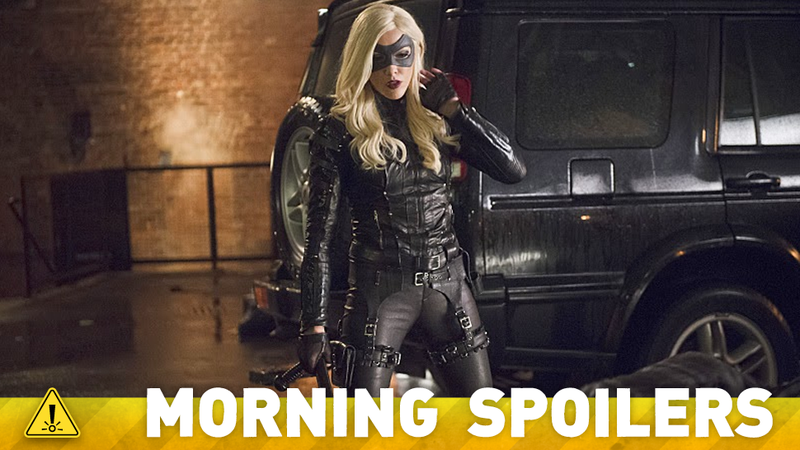 Plus, more teasers for Daredevil and Gotham, and some casting news for 11/22/63. So many spoilers! Making Star Wars is running a rumor that the movie has cast the 7'1'' Lydon Sutcliffe in an unspecified role. That is absolutely untrue. That rumour started on the Internet, and the Internet is a pest. The name of my character is Franz Oberhauser. Tracking Board is reporting that the movie's script is getting a rewrite, to make the lead character a woman. “Amped,” a six-issue monthly comic book miniseries, will debut in fall 2015. The story follows Josh Jaffe, a neurotic family man who buys an online ‘smart pill’ to increase his focus and jolt him out of his slump, but gets much more than he bargained for. To his surprise, the pill gives him incredible strength and power. The story examines both the mighty highs and humiliating lows of being a real-life superhero. “Mythos” is a serialized adventure in which everything we believe to be myth turns out to be a guarded truth that has been concealed by members of two opposing groups — each with differing agendas for the fate of humanity. Caught in the middle is Nate Brigman, an ordinary man thrust into an extraordinary situation by the mysterious disappearance of his wife. This high stakes drama from Universal Cable Productions, is written by Spenser Cohen (“Macklemore’s Big Surprise”) and executive produced by Charlize Theron (Monster) and Laverne McKinnon (“CSI: Miami”) from Denver & Delilah Productions, along with Anna Halberg (“Inner Demons”). As the town of Salem continues to try and cope with the mounting plague, suspicions and fear grip the townspeople, and one of Mary’s recent adversaries takes steps to place himself in a position of power among the citizenry, leading Mary to rally her allies and resort to making a risky play in her bid to maintain control of the town. Meanwhile, Anne and Cotton find they share some common ground, an earlier act of mercy may come back to haunt Mary, tensions of a less-than-Puritan nature continue to smolder between Mary and Dr. Wainwright, John arrives back in Salem and makes his first move in the epic task that lies before him, and Mary and Tituba make a troubling discovery. Some casting has been announced for the series, about a man sent back in time to prevent the assassination of JFK. Daniel Webber will play Lee Harvey Oswald while Cherry Jones will play his "needy and difficult mother" Marguerite and Lucy Fry will play Oswald's wife Marina. “Terra Incognita” – Reese finds himself on a perilous personal journey when he takes on a homicide case Detective Carter was never able to close, on PERSON OF INTEREST. JOE AND CISCO TRAVEL TO STARLING CITY FOR ANSWERS ABOUT DR. WELLS — Joe(Jesse L. Martin) and Cisco (Carlos Valdes) head to Starling City to continue their investigation ofDr. Wells (Tom Cavanagh). While in town, the duo enlists the help of Captain Lance (Paul Blackthorne), and Cisco meets the Black Canary (Katie Cassidy), who asks him for afavor. Meanwhile, back in Central City, Barry (Grant Gustin) races to catch a meta-human named Hannibal Bates (guest star Martin Novotny) who can transform himself into every person hetouches – which includes Eddie (Rick Cosnett), Iris (Candice Patton), Caitlin (Danielle Panabaker)and even The Flash. Charlie Cox discusses Matt Murdock's character growth in this new behind the scenes featurette.